The Unicode Consortium, the body that oversees and monitors the way in which text is presented throughout the software industry, has announced that 250 new emoji icons will soon be headed to the likes of iOS and Android, including, notably, the middle finger gesture. Emoji, when used sparingly, are a great way to emphasize a statement or better contextualize a feeling. Yes, there are folks out there that do utilize the multitude of emoji available perhaps too frequently, but all in all, they’ve definitely become a significant part of our digital culture. Given their ubiquitous nature, it’s not too surprising that the Unicode Consortium has sought to expand the number of emoji available, enabling us to help better tell our stories. If you’re feeling really blunt, the middle finger will certainly be a nice emoticon to have in the arsenal moving forward, but there are plenty of other, less offensive options besides. The Unicode Consortium has been working in conjunction with Apple and others in an attempt to diversify the current offering, and although the vast majority of the new additions relate to objects rather than people, it’s certainly about time that the roster was shaken up a little. 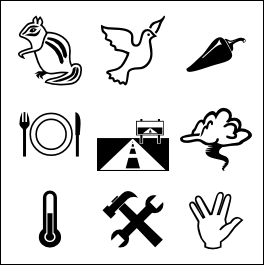 Within this forthcoming bundle, you’ll find many emoji relating to weather, including “cloud with lightning,” “cloud with tornado,” and another showing only fog. We live, in this modern, social network-charged era, to talk about and share what we’re eating with the rest of the world, and as such, you may wish to utilize emoji like the “hot pepper” or “fork and knife with plate,” although you could also opt for the more popular action of taking a snap of your meal and sharing it on Instagram. 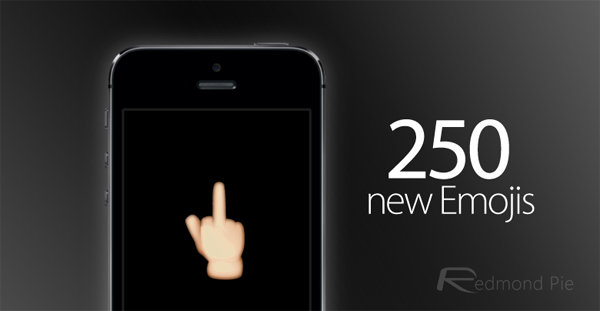 So, with the middle finger soon to become an option, will you be able to refrain from using it in every conversation? Personally, I don’t think I will!